Your skin is clean. Your hair is conditioned. You eat balanced meals. You do everything you can to feel good and look good. But, you are still missing out on an important component for a healthier lifestyle. Whatever your age, shape or physical competence, you should exercise regularly. Exercise not only helps you lose weight, it also helps tone your body allowing you to fit into that pair of extra skinny jeans. Regular exercise strengthens muscle, improves skin, increases relaxation, reduces stress, helps you sleep better and improves your overall mood. The benefits of exercise are not just physical, they are emotional as well. Regular exercise causes you to use up oxygen, burn stored fat and maintain normal weight. The more intense your activity is, the more likely you will lose weight. Exercise does not require you set aside large amounts of time to achieve results. If the actual workout is not possible to squeeze in during the day, do simple things to be active throughout. If you are worried about health conditions, regular exercise will help combat various health diseases. Whether it is high blood pressure, cholesterol, type 2 diabetes, metabolic syndrome, stroke, arthritis and depression can be greatly reduced through regular exercise and fitness routines. Maybe you need an emotional life. You’ve had a hard and stressful day at work and need to blow off steam. What better way to get an emotional lift than to train with a personal trainer Dubai. Brain cells are stimulated through physical activity which leaves you feeling relaxed and happy. Additionally, regular exercise not only makes you look good but also feel good. When you see your appearance changing daily, it will certainly give your confidence a boost. Your self esteem will greatly improve and you will find yourself going out more, being social and doing things you were previously self conscious about. If you are winded down by the monotonous routine of life at home, work out with a personal trainer Dubai to gain more energy to do your household chores and other activities. Regular physical activity delivers nutrients and oxygen to tissues which increases the efficiency of your cardiovascular system. Regular exercise helps you sleep better at night. If you are struggling with insomnia, train with a personal trainer Dubai and you will find it helps you fall asleep quicker. Exercise is fun! Do not think of it as a boring chore. Incorporate different activities and types of exercise routines you enjoy. 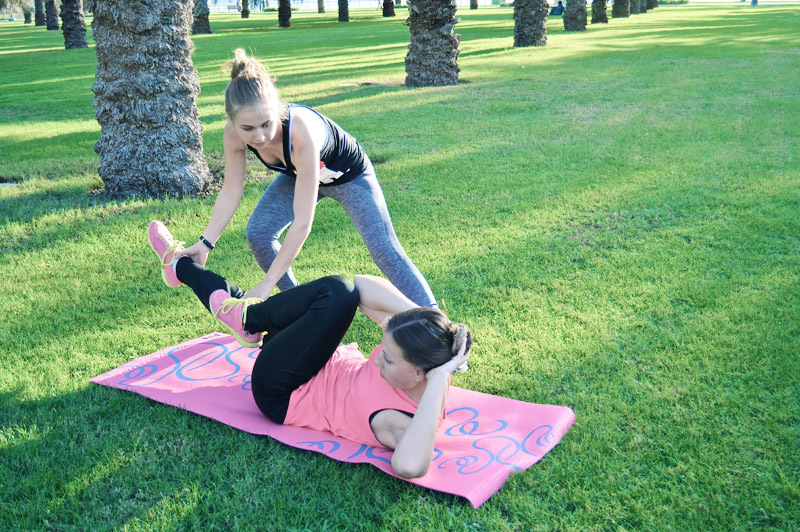 A personal trainer will have the necessary experience to know how to create a balanced exercise program that is both functional and enjoyable at the same time. Exercise with friends and family as this is a great way to connect socially as well. Go on hikes, join a dance class, play soccer with your neighbours. If you find you like a certain type of physical activity, just do it! Your goal should be to get at least 30 minutes of exercise every day. What are you waiting for? Start exercising today!